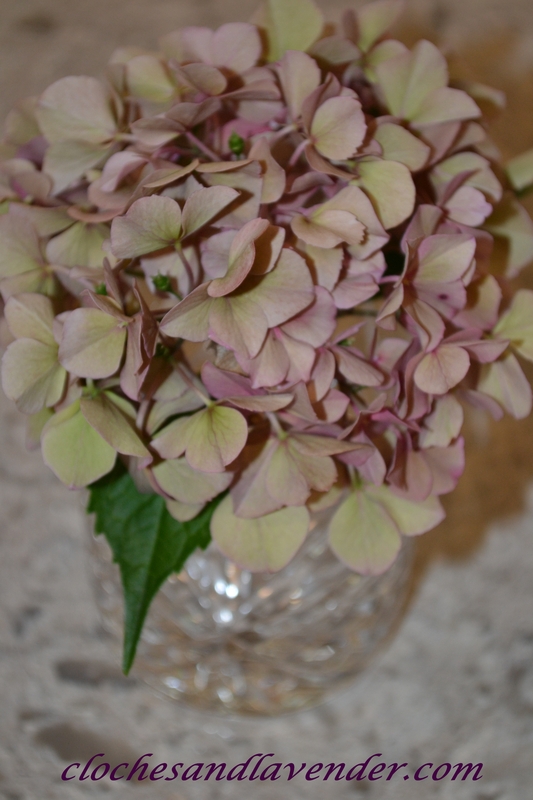 My wonderful hubby John, surprised me by going out to cut one of our Hydrangea out front. He didn’t want me to miss a close-up look of the beauty of our fading blooms. A few close-ups. Next season I will be cutting and drying some of these beauties. This season I am patiently waiting for them to get larger. John is the one of the many reasons I know I am blessed. Have a super weekend and stay cool. Still very hot and humid here where we are in NJ. Beautiful! 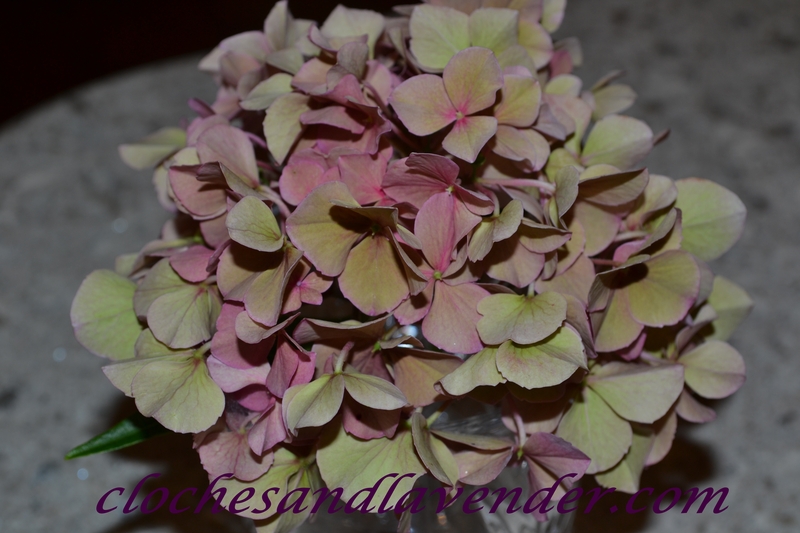 I love the faded green and pink colors of these hydrangeas. Hi Cindy, just gorgeous!! Love the color. So sweet of your hubby. Wishing you a special weekend. Thanks Celeste, I’m blessed to have him. Have super weekend. So pretty. Your hubby is a keeper. Have a great week end. So gorgeous! I planted that same hydrangea two summers ago but it didn’t survive. Boo! Enjoy your lovely blooms! What a sweet hubby you have! 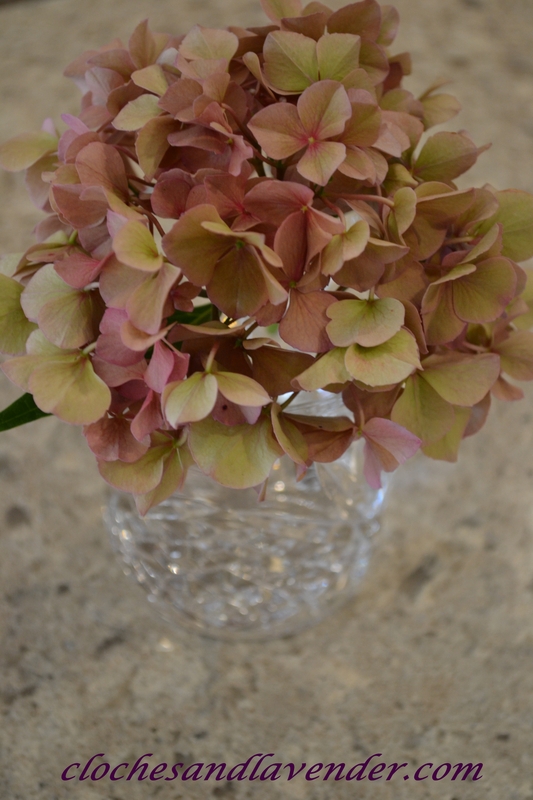 You are so lucky to be able to grow hydrangeas! I think drying them must be an art, as I have rarely had luck doing so. Keep cool! 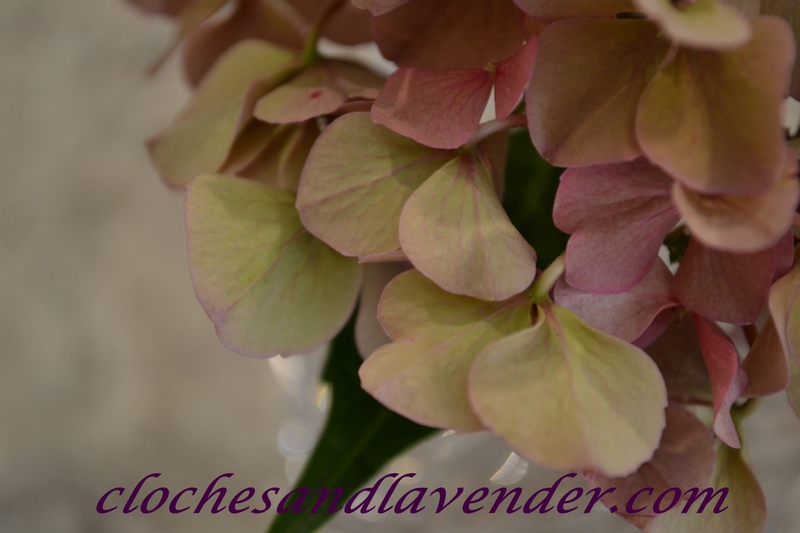 Hydrangea are so beautiful and those colors are gorgeous! I am drying some too, they are white/cream/greenish, hope they dry well. So very nice of your hubby to cut the beautiful blooms for you!…Mine have not bloomed the past 2 years…so I so appreciate seeing these and their gorgeous colors! That was so nice of your husband to bring those inside for you to enjoy. My hydrangeas didn’t bloom this year. We just planted a new bush so that’s probably why. So beautiful!!! I wish I could grow them in my garden…. Mine are just starting to turn!! I love how they go from plain white to so many different colours in the fall. Enjoy yours. Your hydrangea is BEAUTIFUL! Love the colors and the texture! Thanks Karianne for taking time from your busy life and blog to stop and visit. My blog is very small and your visits mean a lot. Such beautiful flowers, and such a sweet hubby! They are gorgeous…the colors are so amazing…great fall colors are always my favorite in dried hydrangeas…wish mine bloomed!! Hi Cyn! Just wondering if you’re ok? Haven’t heard from you in a while and am getting worried :(. Let us know, ok?